Steve Hicks was born on August 23, 1949, in Albemarle, North Carolina. He enlisted in the North Carolina Air National Guard (ANG) in January 1970, and served in the communications career with the North Carolina ANG from January 1970 to 1973, and then with the Virginia ANG from 1973 to August 1974. During his time in the North Carolina ANG, Steve completed his Bachelor of Science Degree in Engineering Operations at North Carolina State University. He attended the Academy of Military Science at McGhee Tyson Air National Guard Base in Knoxville, Tennessee, from August to October 1974; receiving his commission as a 2nd Lt in the Virginia ANG on October 3, 1974. Lt Hicks next attended Undergraduate Pilot Training at Moody AFB, Georgia, from October 1974 to December 1975, followed by F-105 Thunderchief combat crew training at McConnell AFB, Kansas, from December 1975 to July 1976. His next assignment was as an F-105 pilot with the Virginia ANG from July 1976 to 1981, and then as an A-7 Corsair II pilot with the Virginia ANG from 1981 to May 1988. During this time Stephen was a full-time employee at Newport News Shipbuilding in Newport News, Virginia. Captain Hicks became a full-time technician with the Virginia ANG in May 1988, and served as an A-7 and then F-16 Fighting Falcon pilot with the 149th Fighter Squadron of the Virginia ANG at Richmond IAP in Sandston, Virginia, from May 1988 to May 1994. Col Hicks continued flying F-16s as Commander of the 192nd Logistics Group of the Virginia ANG at Richmond IAP from May 1994 to August 1997, and then as Commander of the 192nd Operations Group at Richmond IAP from August 1997 to May 1999. His final assignment with the Virginia ANG was as Commander of the 192nd Fighter Wing at Richmond IAP from May 1999 to April 2004. He then served as a Consultant to the Deputy Chief of Staff for Strategic Plans and Programs with Headquarters U.S. Air Force in the Pentagon from April 2004 until his retirement in October 2004. 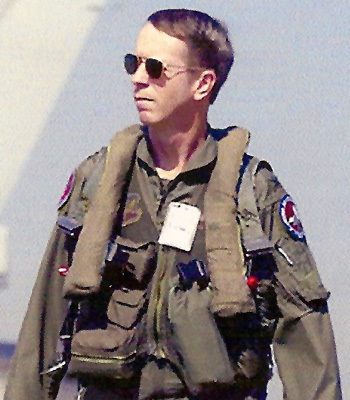 During his Air National Guard career, Colonel Hicks flew missions during Operation Northern Watch in Iraq, Operation Decisive Endeavor over Bosnia, and air defense operations over the United States during Operation Noble Eagle shortly after the terrorist attack on September 11, 2001. He was married to the former Patricia Ann Underwood for 40 years until her death on October 15, 2013. They had two children together; Justin and Stephanie. lColonel Stephen R. Hicks distinguished himself by exceptionally meritorious conduct in the performance of outstanding services to the United States as Commander, 192d Fighter Wing, Virginia Air National Guard, from 1 May 2000 to 31 October 2004. During this period, which included the immediate and extended response to the terrorist attacks of 11 September 2001, Colonel Hicks exercised oversight and leadership in helping to direct 192d activities, personnel, and combat assets valued at more than 500 million dollars. He assisted actively in the mobilization and deployment of 192d personnel in the hours, days and weeks after the attacks on the Pentagon and World Trade Center, and focused on overseeing the alert process and the ramp-up of facilities required to support round-the-clock flying operations. For seven months after 11 September 01, the 192d flew Combat Air Patrol and alert missions for 218 consecutive days, logging a 100 percent scheduling effectiveness rate. Colonel Hicks' unique leadership style contributed to a high level of morale at a time when nerves normally tend to fray. Operations NOBLE EAGLE and ENDURING FREEDOM necessitated the activation of more than 400 members of the 192d and the worldwide deployment of Guardsmen with key specializes. Colonel Hicks quickly identified high-stress area affiliated with 24/7 operations and worked tirelessly to insure that family readiness, chaplain's office and other support programs pro-actively met those challenges. Under his leadership, the Wing made vast improvements in its mentoring and diversity initiatives and reached an all-time high of 103 percent in overall manning. Both before and during the seven months of post-9/11 Combat Air Patrol missions, Colonel Hicks managed to focus the energies and resources of the 192d on two major inspections that were vital to the Wing's continued success. Balancing the immediacy of 24-hour-a-day Combat Air Patrols and the long-term planning required of preparation for inspections and deployments called for a leader-aviator of the highest caliber. The singularly distinctive accomplishments of Colonel Hicks culminate a long and distinguished career in the service of his country and reflect great credit upon himself, the Air National Guard, and the United States Air Force.